Tetra understands the importance of practices like KYC and has devoted the resources necessary to implement these processes properly. Users will be able to trade safely with the comfort of knowing that due diligence has been enacted to protect them from potential repercussions. While this sounds appealing to compliance-conscious cryptocurrency users and traders, the self-description of Tetra as a “semi-decentralized P2P” raises questions. In a Reddit discussion, a Tetra representative admits that Tetra is a centralized service, but states that the exchange operates using a decentralized transaction model so that the operators never have control over users’ coins directly, and thus hackers do not have access to users’ coins. In communication with Bitcoin Magazine, Patrick O’Brien and CTO of Tetra Exchange, confirmed this practice. 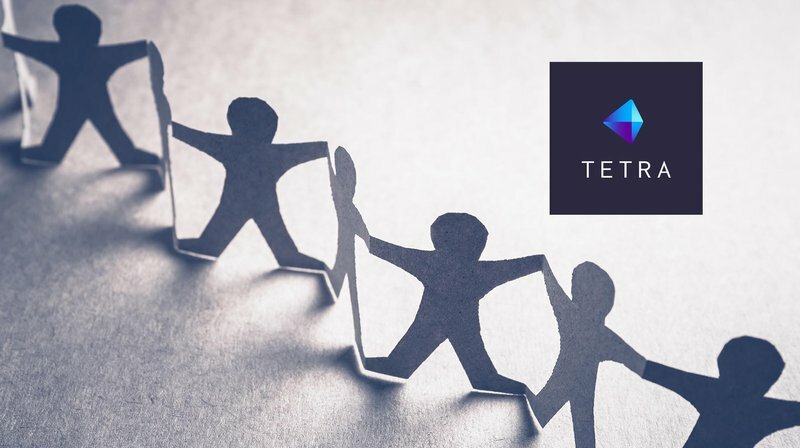 He explained that Tetra is described as a peer-to-peer exchange because users are trading with other individuals, and not with Tetra or against a Tetra orderbook as they would in a traditional exchange. “To elaborate further, this means that when customers are interested in making escrow payments they will participate in a multi-signature transaction, with the third party and ourselves as signing authorities,” continued O’Brien. He added that the exchange takes compliance very seriously and stated that Tetra is circling back to their lawyers for advice. However, as the Reddit thread continues to point out, there still remains a number of compliance and personal privacy concerns related to the company’s KYC measures that U.S. users should be especially wary of, depending on the particular state requirements where they live. Leaving aside the P2P interpretation and the potential compliance minefield, it’s worth noting that Tetra emphasizes easy usability and security as strong competitive advantages in the cryptocurrency exchange market. The Tetra platform uses multisig escrow and intends to automate all aspects of the trading process to provide “incredibly secure and worry-free trading” with 2-of-2 and 2-of-3 P2SH multi-signature transactions, smart contracts and encryption of all communications. Of course, Tetra is hardly the only exchange to focus on easy usability and security, and, in fact similar measures are adopted by many exchanges today. What really seems to differentiate Tetra from many other exchanges is the fact that Tetra is explicitly targeting professional traders and cryptocurrency trading businesses that need to streamline multiple trades, by offering an easy user experience to their customers and presenting themselves as fully compliant with regulations. “The goal here is to facilitate the growth of fiat to crypto on-ramps and off-ramps, and we do this by encouraging people to operate trading businesses on our platform,” O’Brien told Bitcoin Magazine. “The features outlined so far culminate to satisfy business needs; by ensuring customers have a completely secure, legally safe, and easy to use platform Tetra will allow businesses to thrive in an otherwise hostile environment,” concludes the announcement. The first public release of the Tetra platform and apps, currently available to alpha testers, will support Bitcoin, Ethereum, Litecoin and Dash. Other cryptocurrencies that support multisig transactions are planned for the future. The platform will begin its roll out in the U.S., Canada and Australia. To professional traders and businesses, Tetra offers a paid service dubbed Tetra Prime, with support for online and “brick-and-mortar” business storefronts, as well as trade matching and analytics to optimize trading profiles.